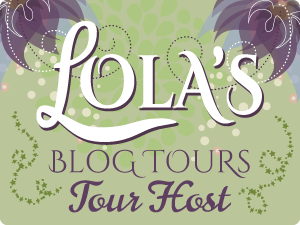 Today is my stop during the blog tour for Entrapment (Infidelity #4) by Aleatha Romig. I will review this book today, an excerpt and there are some teaser images. You can find the whole series on amazon here. Entrapment is the fourth instalment in Aleatha Romig’s insanely addictive Infidelity series. While this book was a little slow at the start, once I got past the 25% mark it came into its own and I couldn’t (and didn’t) put it down. I was incensed at Charli at the end of the last book because of the decision she made. I understand she has deep psychological issues as a result of the abuse she suffered growing up, so I decided to accept that she lost her way for a few crucial moments and made one of the worst decisions of her life. If she had stayed with Nox he would have found a way to rescue her mom, but she chose to take matters into her own hands and I came to respect that. Man, this story gets sicker and more depraved the more we delve into it, but I lapped it up. Aleatha writes heart-pounding edge-of-the-seat romantic suspense with plenty of exciting twists and turns. Entrapment was no exception. Bryce and Alton are conniving and hateful as ever. Actually, Bryce is a total psychopath and it’s completely obvious in this one. Those parts were exemplary in their execution and I had chills all over reading those scenes. He managed to scare me and he’s not even real. Chelsea is a shell of her former self, having suffered at their hands. It all falls to Charli/Alexandria to save them. I was a little disappointed in Nox in this book. Yes, he is distraught and pulling out all the stops to save her, but he doesn’t personally do much and that annoyed me. He has his minions running around trying to rescue his girl, and the one time he gets the opportunity to do something he ruins it -Yes, I am talking about that shameful hotel room scene – that was wrong on so many different levels that I can’t even form words, but I’m digressing. I again loved the Oren and Adelaide sections, and the revelations about the past are starting to come out. Can’t wait until they find out everything in the next one! I did predict that cliffhanger but it was still AMAZING. Dumped right in the middle of a sentence this time, not just a scene, and it made me howl with frustration, but that’s what I love about cliffhangers. I’ll be biting my nails until the next ARC is available. Overall, this was a great continuation in what is proving to be a very solid series. I’m really looking forward to the conclusion. Thank you for the great read, Aleatha.